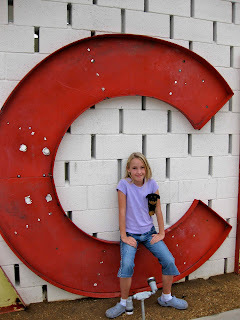 Last weekend brought about the first Field Trip™ in quite a while. 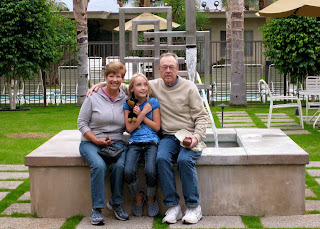 With Allie's parents in town for the holidays, we decided to check out Palm Springs. 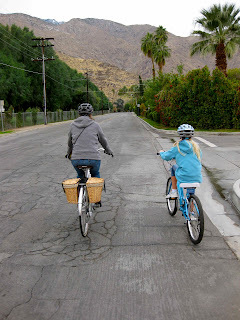 We had only briefly been to Palm Springs, briefly as part of our move out west - so this would be the first time we'd spend any time exploring. 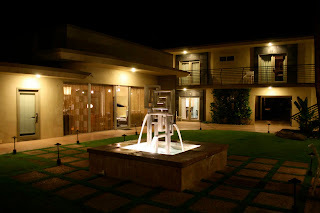 Our hotel was the groovy 7 Springs Inn and Suites, a cool and affordable mid-century modern motel close to Palm Spring's downtown. 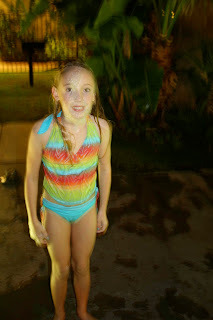 And while the air temp was in the high-50s, the well-heated pool was all-too inviting. It's difficult to keep my grrrl out of the water. 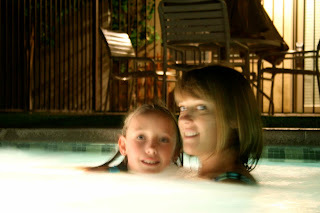 Celeste and I had a blast in the pool while Allie lounged in the not-hot-enough hot tub. 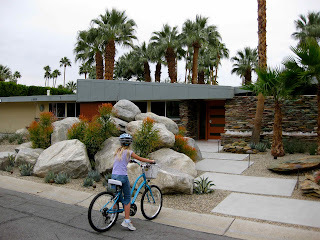 ...then dropped Allie's parents off to explore downtown PS while we checked out some of the neighborhoods of groovy homes by bicycle. 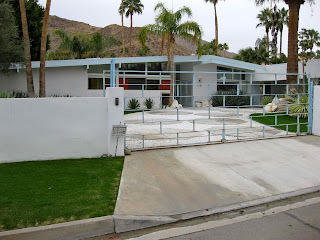 Palm Springs is a showcase for superb 1950s/60s architecture. Just about every residence there put our Monona house to shame. 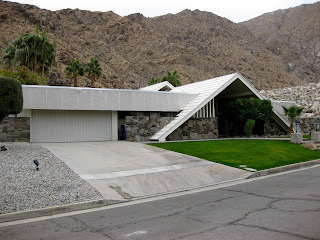 Of course the property values are a bit higher in Palm Springs. The cost of entry in this 'hood was about $1m. 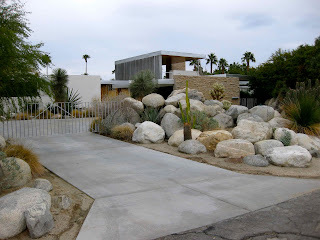 Some were downright modern masterpieces - like the Kaufmann House, pictured below. 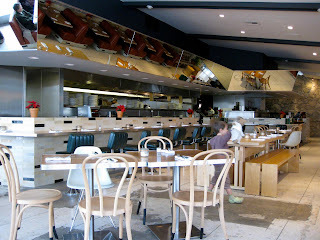 The same Kaufmann that commissioned Frank Lloyd Wright's Fallingwater. 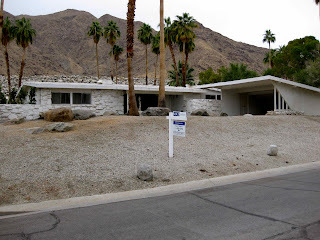 Also on the agenda was a tour of the homes and neighborhoods of stars such as Frank Sinatra, Elvis, Bing Crosby, Bob Hope, Clark Gable, Barbara Streisand and the like. After spending about 90 minutes in the back of a windy Jeep on a cool day we headed back to the hotel for a respite and then off to a casual dinner. And of course the sun finally came out - as we were departing Tuesday morning. 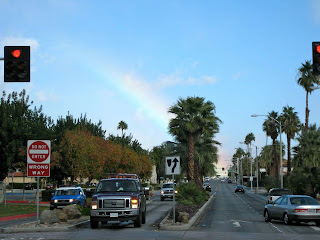 At least we had a bold rainbow to chase on the way out of town. We hope to return, possibly when it's a bit warmer. 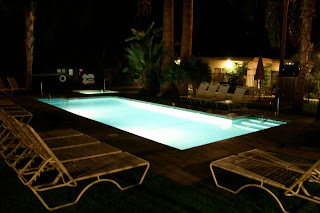 Labels: 7 Springs Inn and Suites, Ace Hotel, field trip, Palm Springs, swimming, why was it cloudy in the desert?